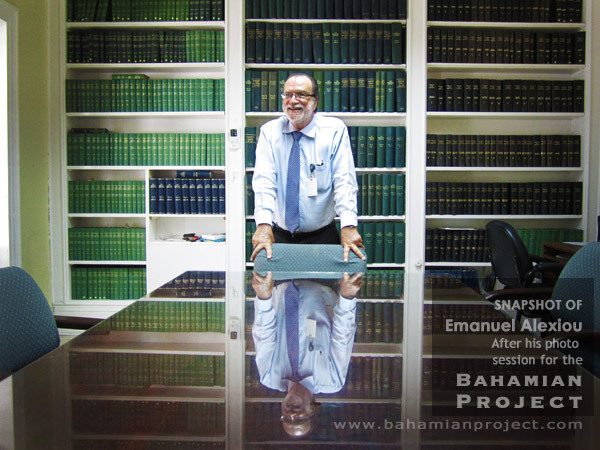 After his photo session for The Bahamian Project Emanuel Alexiou showed us the room at Moseley House where the Nassau Guardian originated. In January 2002, The Nassau Guardian became fully Bahamian owned for the first time in over 30 years, when John H. Perry sold his 60 percent stake in the company to a group of businessmen, which included Emanuel Alexiou. Mr. Alexiou says part of the reason he was interested in acquiring The Nassau Guardian is because he wanted to help steer the country in a direction that would benefit the people of The Bahamas. “Education is the key. To some degree that is why we bought the Guardian… to focus on areas of interest to help the country move forward and grow,” he said. There were subtle incidences, he said, that now seem prescient, suggesting that the Nassau Guardian was always in his destined path. Several years before he thought about acquiring the newspaper, he was driving and saw on the roadside a young man selling a painting. He told us of another coincidence – the fact that his law office is in the building where the Guardian was first established by Edwin Charles Moseley in 1844. A few days after our photo session we went to his office and he was generous enough with his time to show us around the historical building – which was the home of the Moseley family. 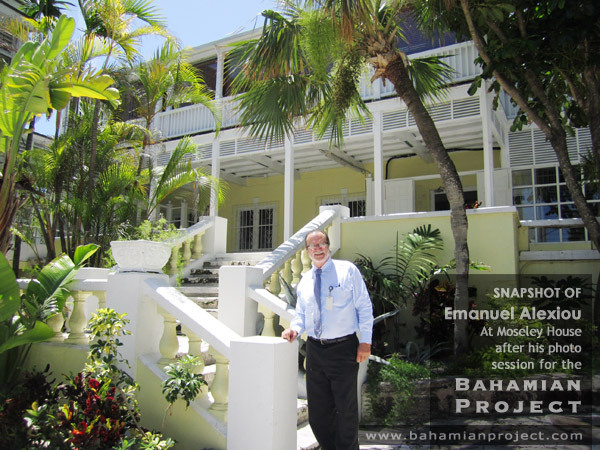 Emanuel Alexiou is an attorney licensed to practise in The Bahamas, England & Wales, and the Turks & Caicos Islands. He is also Executive Vice Chairman of Colina Holdings Bahamas Limited and is a prominent member on several financial boards. He prefers to stay out of the spotlight but his contributions – in many areas of society – have been vital and far-reaching.